What is the Difference between a Cucumber and Zucchini? At first sight, cucumbers and zucchinis are nearly impossible to tell apart. They are both long tube shaped vegetables that have the same green colored skin. Inside they both have the same white interior and grow the roughly the same size. The only ostensible difference is that cucumbers have a less shiny and bumpier skin, while a zucchini has a shiner, almost waxed looking skin. Despite their strong similarities, there are actually some big differences between the two. Here are a few things you might not know about these humble vegetables. 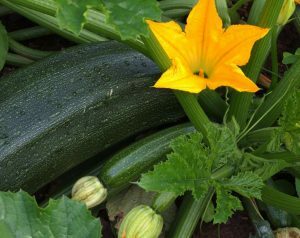 It might come as a big surprise to know that despite the zucchini and cucumber being treated as a vegetable when it comes to cooking, in botanical terms, they are both classified as fruits. A zucchini is actually a type of berry called a “pepo” and is actually the swollen ovary of the zucchini flower. Since a cucumber also fits the botanist definition of being the part of a plant that developed from a flower, it too is actually classified as a fruit. The cucumber or Cucumis Sativus is part of the Cucurbitaceae gourd family. These plants are creeping vines that root into the ground and then crawl up any nearby structures towards the light. Zucchinis are part of the Cucurbita pepo family, which originates from South America where they have been farmed for thousands of years. The plants have both a male and female flower for reproduction, the female being a bright golden blossom that after fertilization grows into the zucchini fruit. The fact that the zucchini has more noticeable things in common with fruits such as the apple than the cucumber has led to the incorrect assumption that it is a fruit but the cucumber isn’t. 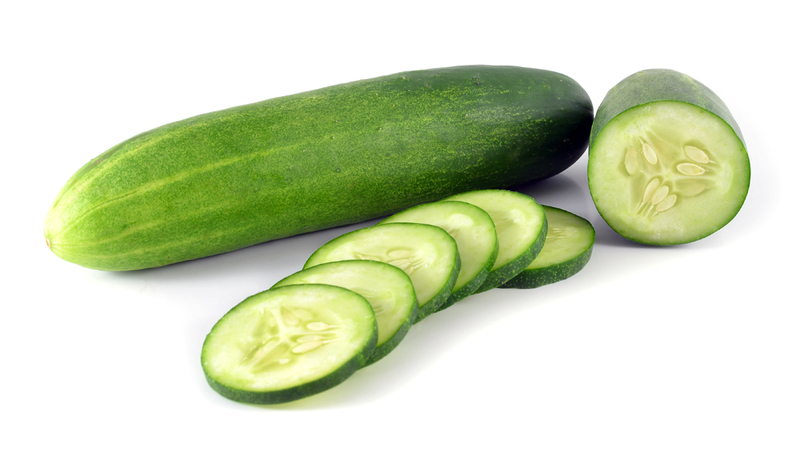 Cucumbers have the advantage of being good to eat when uncooked, whereas due to the zucchini containing a high level of cucurbitacins, they taste too bitter for most people’s palates when raw. The other main difference between the two becomes noticeable after they are cooked. 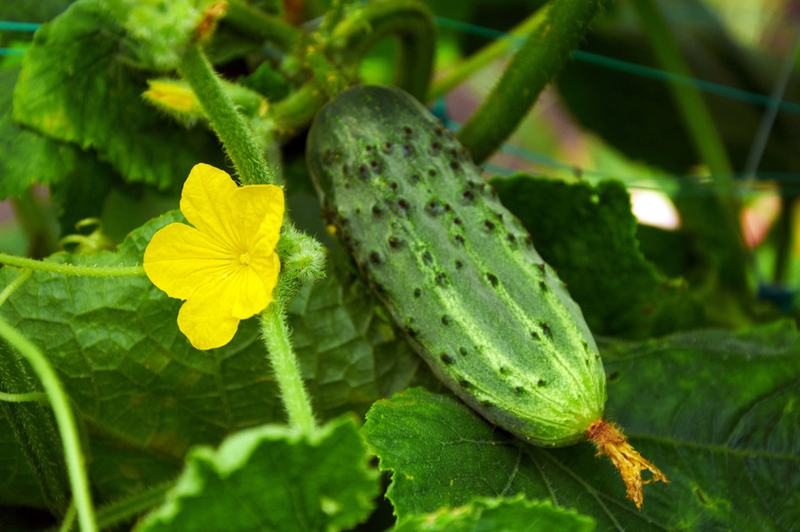 When cooked under high heat, cucumbers tend to wilt and soften up. Due to the breakdown of the bitter cucurbitacins when heated, a zucchini will become sweeter and therefore taste better when cooked. Generally, people prefer to eat cucumbers when uncooked, where they produce a cool, watery and refreshing taste. Zucchinis are better eaten after being cooked where their sweeter taste and more heat resistant texture makes them excellent in a whole range of different dishes. When it comes to nutrition, the pair are fairly evenly matched. 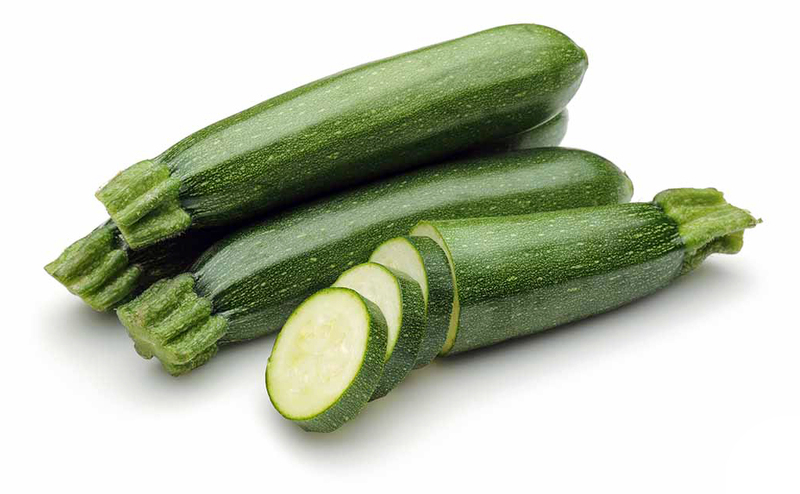 Both are low in calories, a zucchini has 17 calories per 100g while an unpeeled cucumber has 16 per 100g. Both are made from roughly 95% water and are high in fiber, which is one of the reasons they are both considered a health food. They also contain numerous essential nutrients such as folate, potassium, copper, and vitamins A, B and K.
Zucchinis contain antioxidants that help cleanse the body of harmful compounds and also help to reduce weight gain by helping with cholesterol control. Another function of these antioxidant agents is that they destroy free radicals that are a cause of premature aging of the skin and tissues. The potassium they contain is essential for healthy nervous system function, while folate is vital in DNA reproduction. Packed with similar essential nutrients as zucchinis, cucumbers have a lot of the same health benefits. They do, however, also contain an anti-inflammatory compound called fisetin. Though the research is still ongoing, fisetin appears to play an important role in healthy brain function and so is considered as an important part of a healthy diet. The other main difference is that cucumbers contain more carbohydrates but less fat than zucchinis. An uncooked 100g serving of cucumber contains 3.63g of carbs and 0.11g of fat, to a zucchini’s 3.11g of carbs and 0.32g of fat.